Boston is building at an unprecedented rate while not enough thought has been given to green infrastructure. The impact of urban heat island is increasing along with rising temperatures due to climate change. Sea level rise and flooding is at Boston’s shores. HarvestGreen will provide a forum to highlight elements of design that provide elegant yet reasonable solutions to better control urban climate, stormwater and sea level rise. Escape Your Office and Leap into HarvestGreen: Join us for almost a week-long program! Who should come? Designers, planners, realtors, lawyers, accountants, business people, property owners, property managers, developers, water experts, park officials, environmentalists, energy experts, engineers, health officials, doctors, nurses, policymakers, decision makers, and anyone willing to learn something new. with help from Weston Nurseries and Cityscapes! 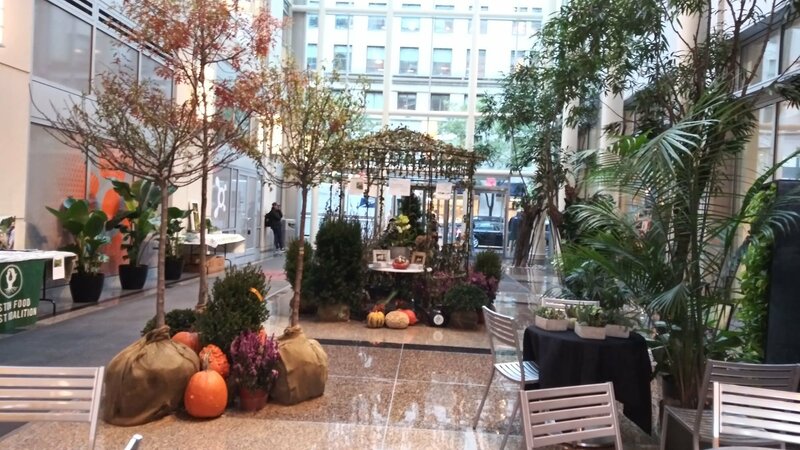 Exhibits by: Boston Food Forest Coalition, Pearl's Premium, Invisible Structures, and Stimson Studio. Decide what you prefer: A Stark Skyline or Green Skyline? This series will take place at 10 St. James Avenue, Back Bay, Boston, MA in the Atrium and is free of charge. We are also working with the BSLA to establish CEU's for landscape architects and architects. Intro to the beauty of green infrastructure with a particular emphasis on urban agriculture and green roofs - both provide food and herb harvest that can be served directly at the venue. Plus, they provide many more benefits that come with greening our city. Find out from those who are already sowing and reaping the benefits. Living walls can be exterior or interior. Outside our buildings they reduce stormwater, air pollution, keep the city cooler and beautify the urbanscape. Inside our buildings, living walls improve air quality, prevent illness and beautify the space. In both cases, living walls make people happier and healthier. Find out why! In order to be green, we need bees. City rooftops are an ideal location for bees with our without a green roof. However, the green roof provides: (1) greater opportunity for bees to forage; (2) a space that is free from harmful pesticides and disease, and (3) habitat that alleviates some of the pressure and competitiveness among bees. The bonus prize is HONEY! It has long been documented that people feel better and heal faster when they are near nature. The more we build, the more green space we remove. Let’s keep green in our urbanscape and especially in places of healing. 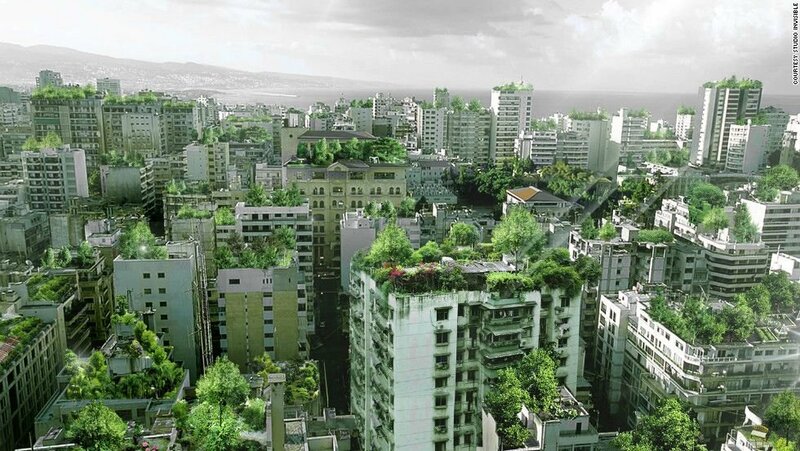 Green roofs, living walls and urban agriculture bring nature back into our urban space. Together they provide important benefits for cities as they develop for the future. Be inspired by local and global designs. Learn what’s new on the scene. 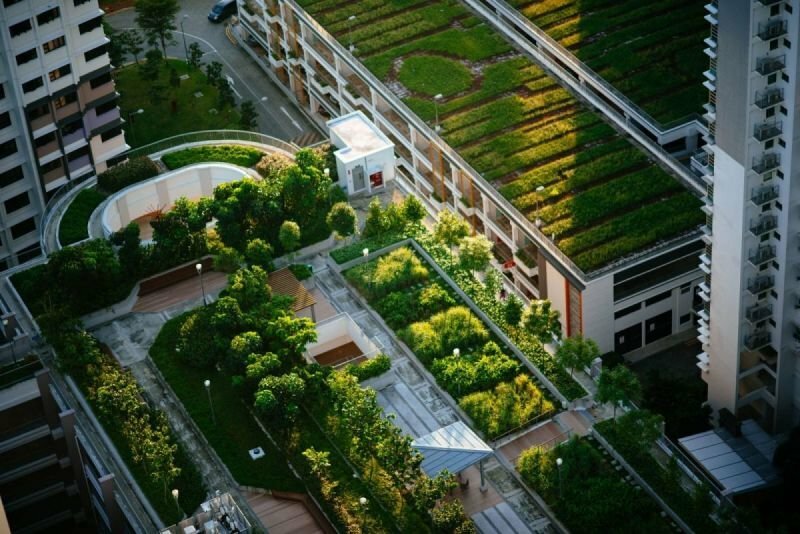 Green roofs and green infrastructure are the next “low-lying fruit” to provide simple yet elegant solutions for complicated matters such as climate change, urban heat island, and sea level rise. What tool kit is needed? 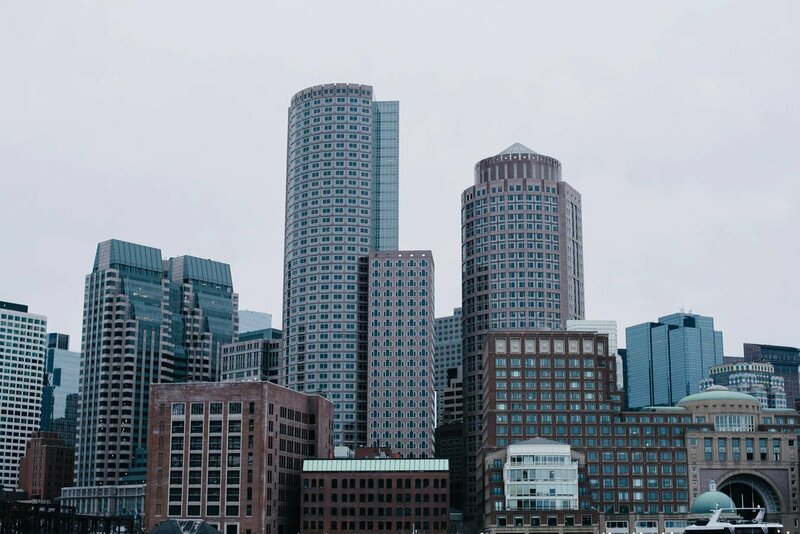 What is Boston/Massachusetts doing about this issue and how can policy make a difference? Please contact us with any questions, or if you wish to be an exhibitor or a sponsor: 617-477-4840.